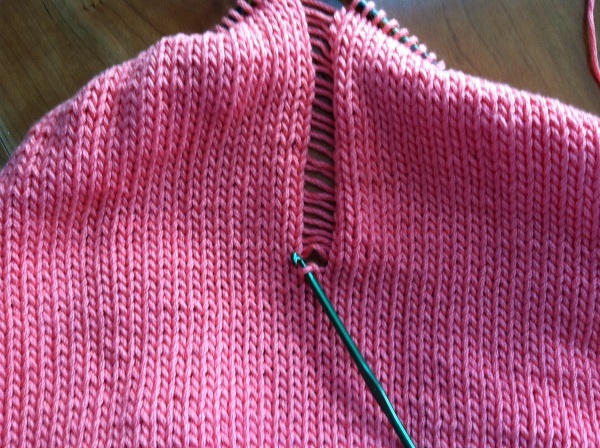 I’m no spring chicken when it comes to knitting. I’ve been doing it for a lot of years and especially a lot (read: non-stop) for the past 6 years. So, one might think that I don’t make many mistakes. But one would be WRONG. Full disclosure: I don’t know if that’s really the spot that was messed up. I actually couldn’t find it which is a good thing! Also, the color in the first picture is the most accurate. I don’t know why the other photos are pink. 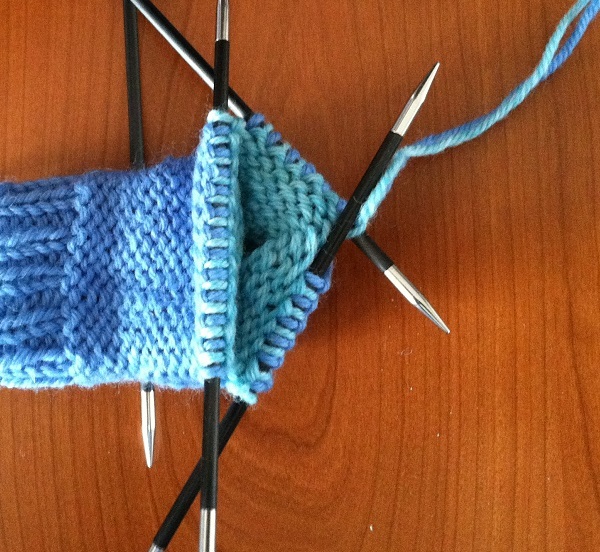 That is one little old stitch on one sock hooked onto another little old stitch of the other sock. 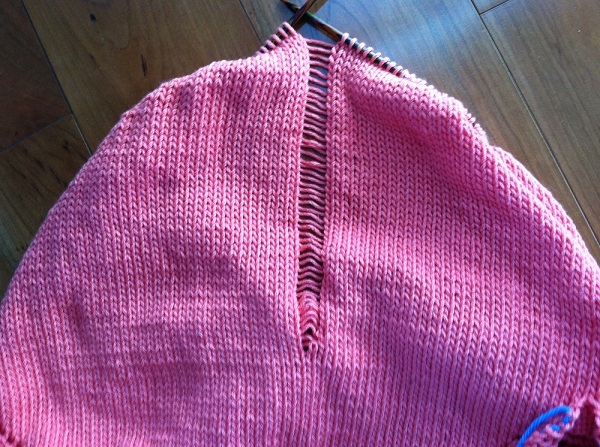 A mistake I made on row two of the ribbing – in other words, in the beginning. 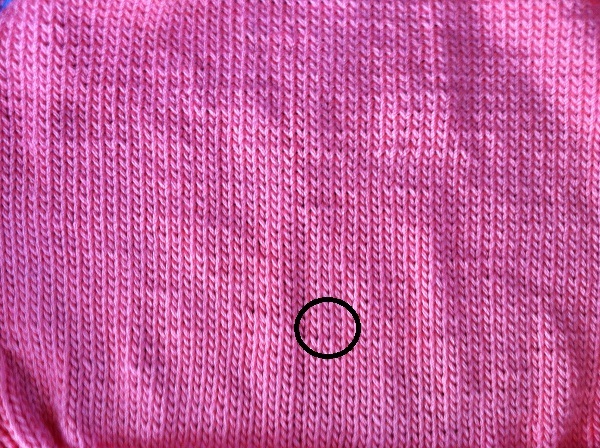 It was noted in the pattern that this was the fussiest part of the sock for this exact potential mess-up. So I noted it in my head and on paper to remind students in the class. 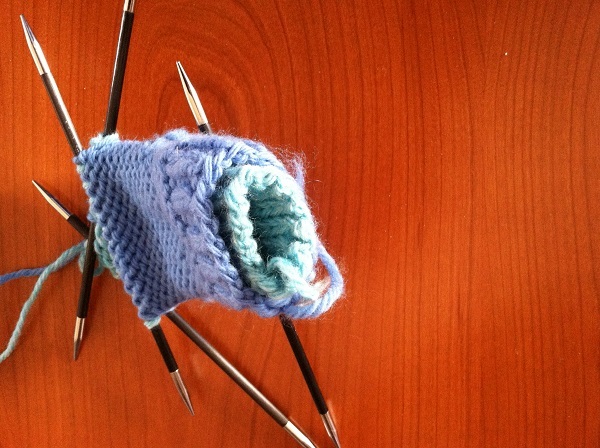 And I knitted very carefully to avoid that. Apparently not. 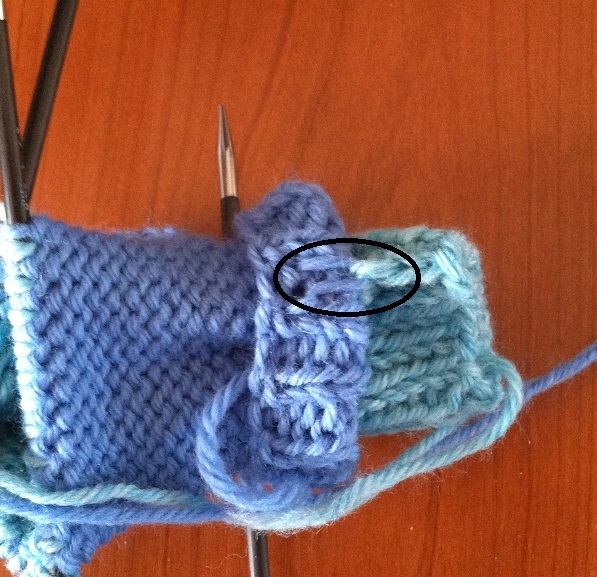 So, since I am not willing to un-do both of those socks to get back to the beginning, since there is absolutely no other way to fix it, I will simply highlight that part as an example to my students of what will happen if they think they are paying attention but they are not. I tried it on to see if the modifications I made to the front band looked ok and turned to Paul who said, “I thought cropped shirts were ‘out’.” It was, in fact, very short on me. I took it off and stretched it to show him that it would “grow” once it was blocked and he said, “Hey, don’t stretch it!” He thought I was going to ruin it. I told him that anything lacey and sometimes ribbed is supposed to be stretched out when you block it, so that you can see the pattern better. He looked at me warily and then we had a one-sided conversation about how some mechanical engineers think they know everything about knitting just because they think they can apply mechanical engineering principles to it. 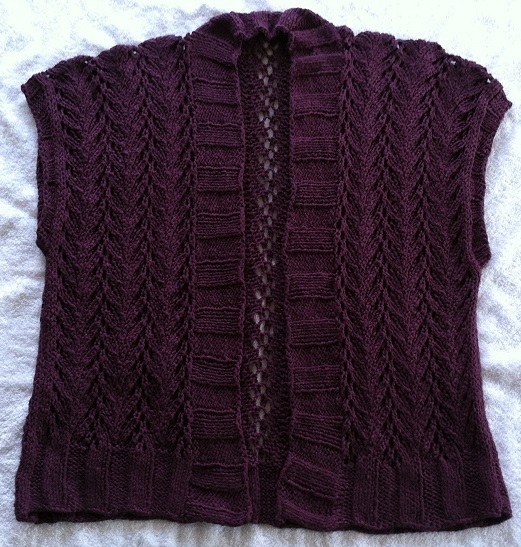 Posted in Uncategorized and tagged doodlebugs, spring chicks, stealth project, two-in-one socks, vine lace vest on April 25, 2014 by lizytish. Liz, you make the cutest things with the doodlebugs. You are the best pre-school plus the best nanny and aunt. 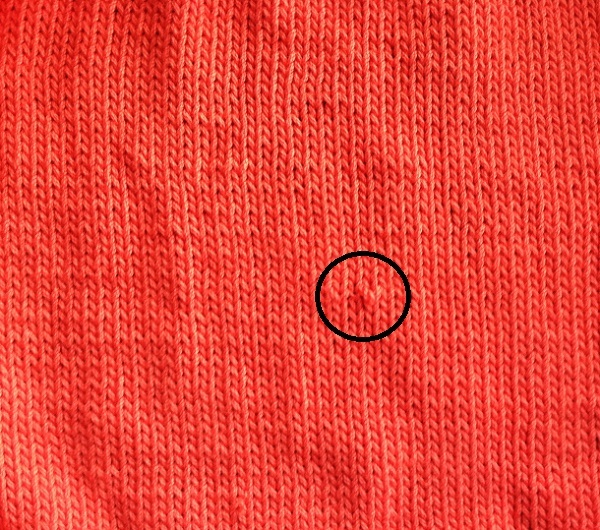 That was a great fix on the knitted-item-that-cannot-be-named. Impressive. The Vine Lace sweater is so pretty. I look forward to seeing it in person. You are so sweet Libby – thank you! 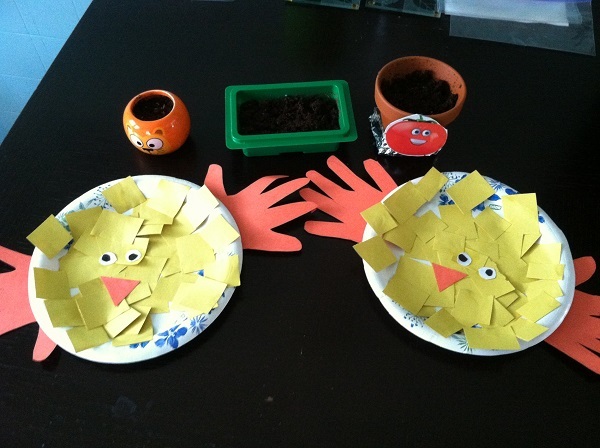 We had a lot of fun with those projects. 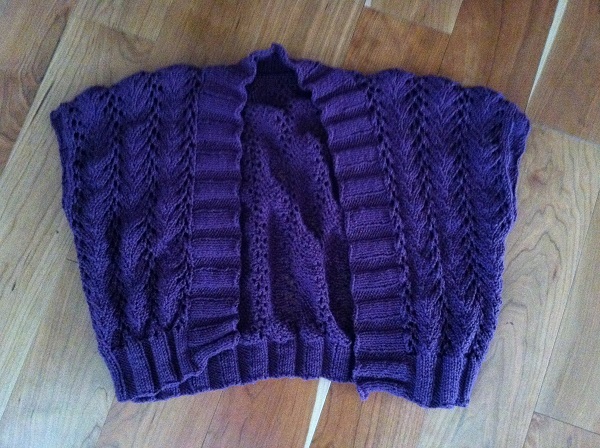 The sweater is at the shop now – scheduling the class for it soon. See you soon I hope!